Recently introduced threat detection services from Rockwell Automation (Milwaukee) are designed to help plants monitor, detect, and respond to increasingly complex security threats. Created specifically for industrial networks, the offering maps normal network behavior, and uses the manufacturer’s monitoring services to detect and alert personnel of irregularities and potential threats in real time. 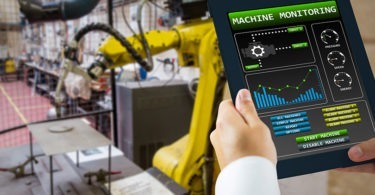 According to Rockwell Automation, integrating industrial-security software from providers that understand operational functions within industrial protocols can help secure and optimize the industrial control network while offering visibility across all levels of the OT environment. As the company notes, this means not only threat detection, but real-time monitoring and deep network insights across a site’s assets. The first step in successfully detecting threats is to be able to inventory the plant environment. The new threat detection service offering take a product-agnostic approach to create a robust asset inventory across both IT and OT systems in an industrial operation. Diving deep into industrial network protocols, threat-detection software maps all of the end user’s network assets and how they communicate with each other. Once the entire environment is charted, the tool identifies normal operating procedures and creates a baseline. Any deviations from this baseline are annunciated in the form of context rich alerts. The alerts are integrated with Rockwell Automation’s monitoring services to help inform the response and recovery process. This process includes incident impact analysis, containment, and eradication protocols. The new set of services is built on top of threat-detection software, created by industrial security company Claroty (Tel Aviv), an Encompass Product Partner of the Rockwell Automation PartnerNetwork program. CLICK HERE to learn more about Rockwell Automation’s new threat detection services.